I am incredibly disappointed that WMATA plans on eliminating the B9, B8 bus routes. As Commissioner for Woodridge South, Langdon, and Woodridge, I will fight to oppose these proposed changes. In order to foster truly livable, walkable,and environmentally sound communities, residents in 5C02 need more access to public transportation, rather than less. 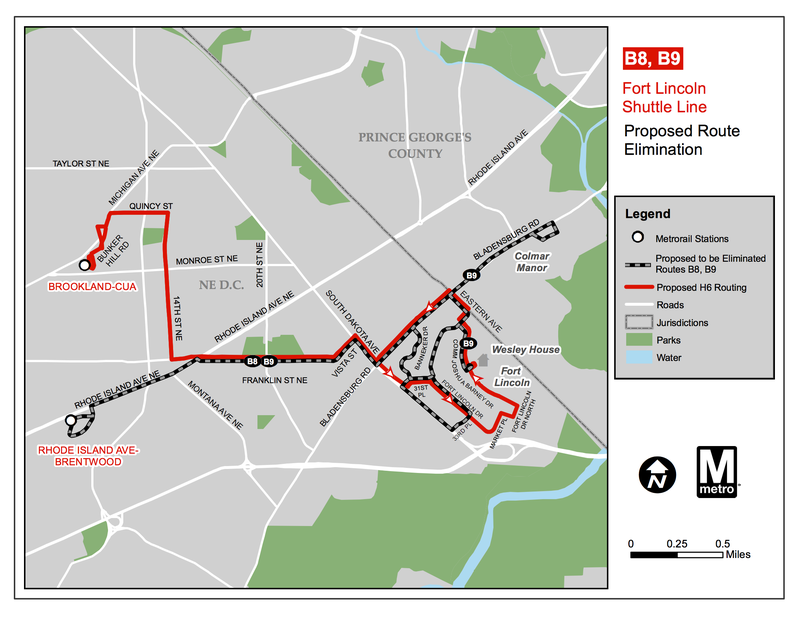 Considering that Woodridge South, Langdon, and Fort Lincoln are already severely underserved by public transportation, slashing the B8, B9 routes would leave many residents, especially seniors, students, and young professionals, no transportation option to the Rhode Island Ave. Metro station. Send an Email: Provide written or audio comments to writtentestimony@wmata.com. Attend a Public Hearing: Provide feedback in a traditional, formal setting at Metro’s headquarters, 600 5th St NW, Washington, DC, on Thursday, September 17. Is Metro required to provide notice of this at bus stops? There is nothing at the B8,9 shelter at Rhode Island. People that ride the bus need to know they are trying to eliminate it. Help #ClearTheShelters! Adopt From a Participating Shelter this weekend!